Music is a big part of every Folklife Festival. 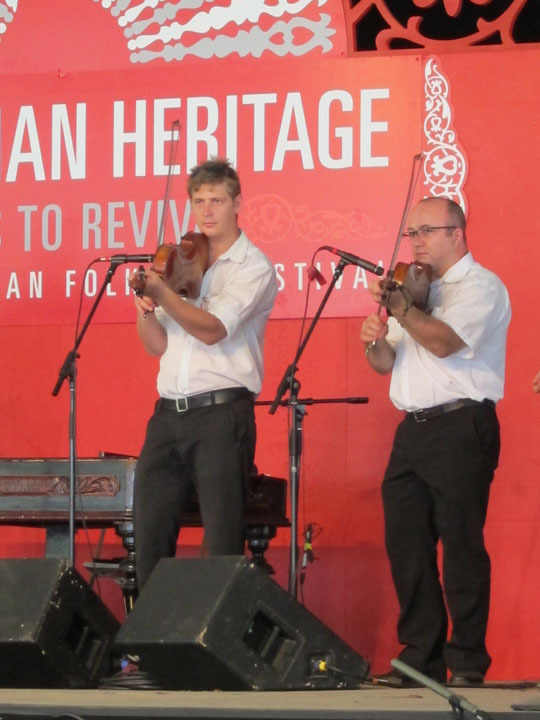 Across several stages, I saw fiddlers, singers and traditional instruments including a small bagpipe, zithers, and the hurdy gurdy. I noticed these players and several others holding their instruments in a unique, almost vertical way. 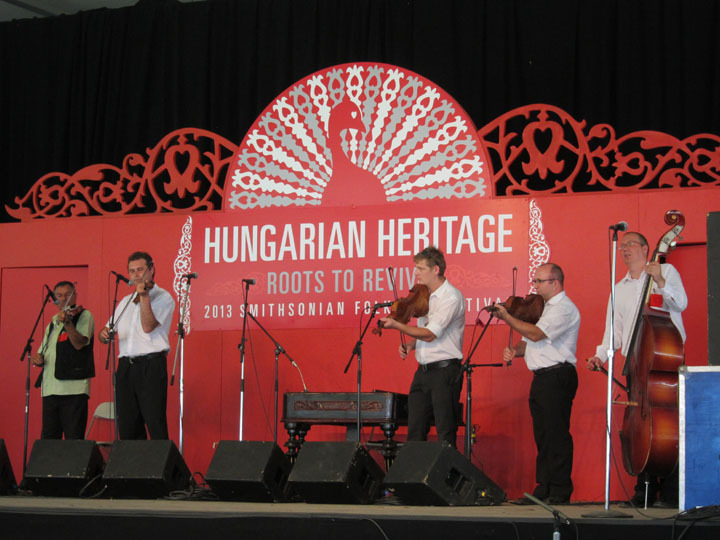 The revival of traditional culture in Hungary has seen a resurgence of interest in dancing. At the Folklife Festival, one group demonstrated regional and historical couples dances all while in traditional costume. These energetic guys below performed a dance with stomping and knee-slapping which reminded me some of their neighbors in the Tyrol of Austria. The performances were wonderful and I am grateful to everyone who performed in the humid 90*F DC summer! 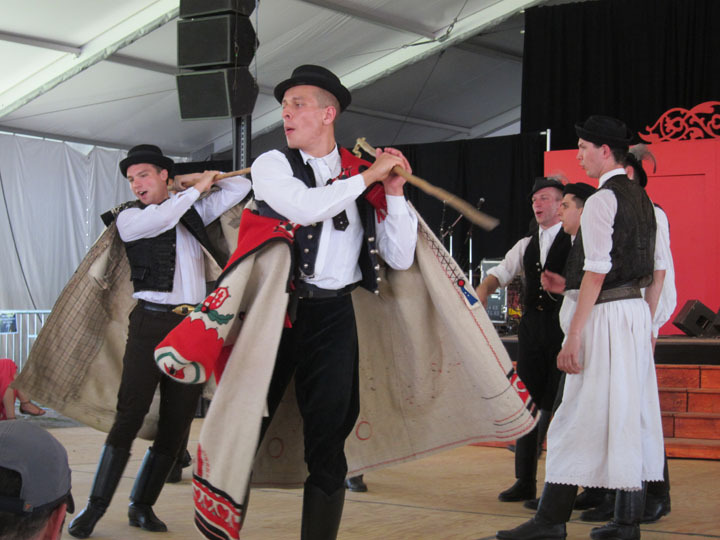 Two dancers from the Szatmár region in the far Easterner corner of Hungary. 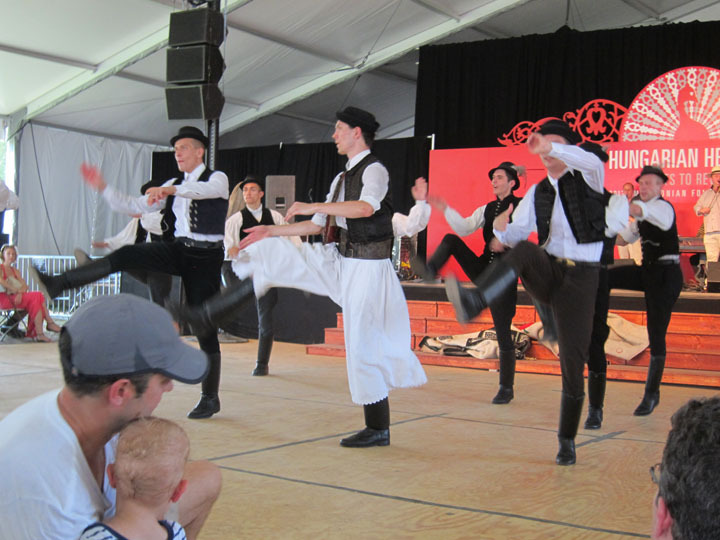 This Szatmár dance featured a lot of high kicks and knee slaps! 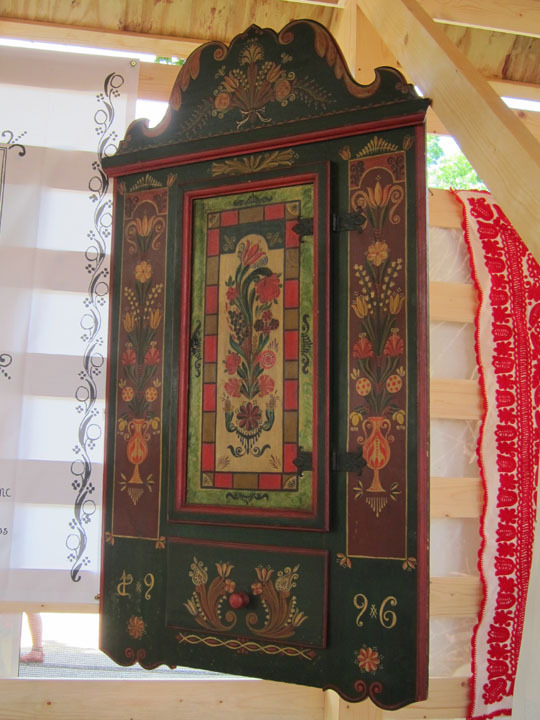 In booths spread out over two fields, artisans were giving demonstrations and explaining their traditional crafts. 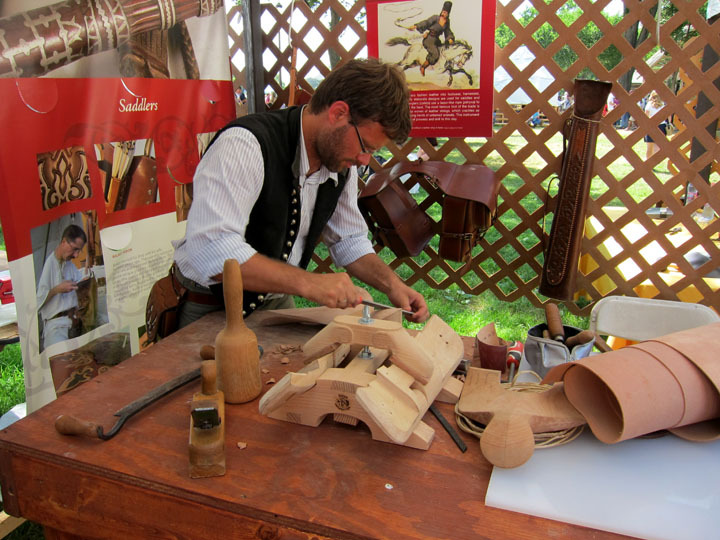 Traditional saddle making reminds us of the long tradition of horsemen in Hungary and through the Caucuses. 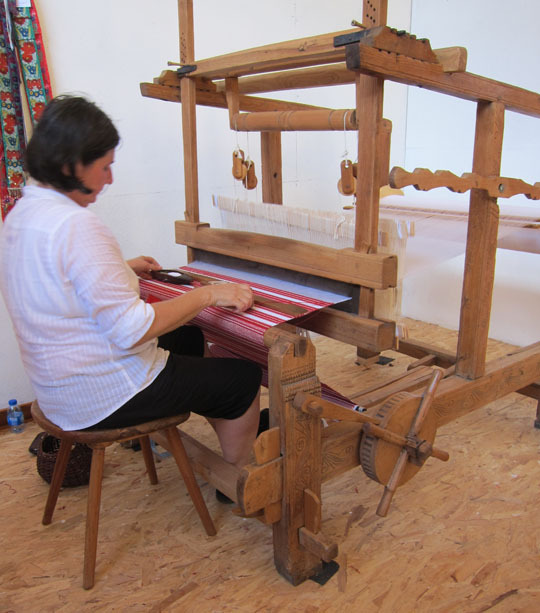 Traditional red and white colored weaving. 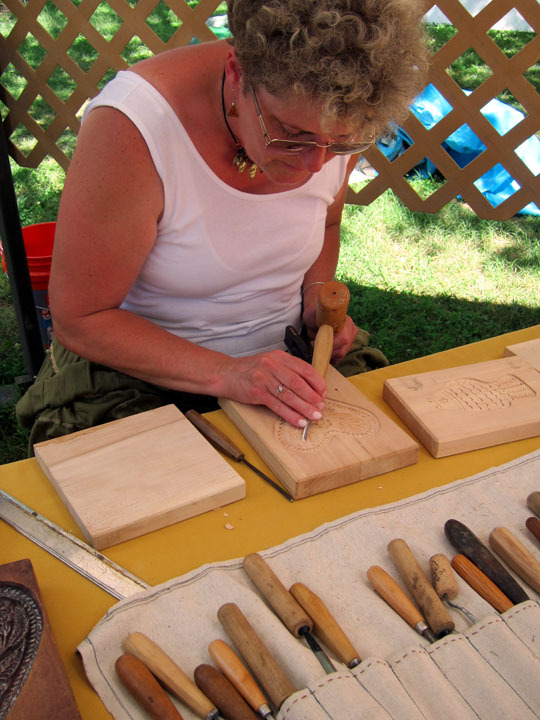 These finely carved wooden blocks are used to mold gingerbread cookies. 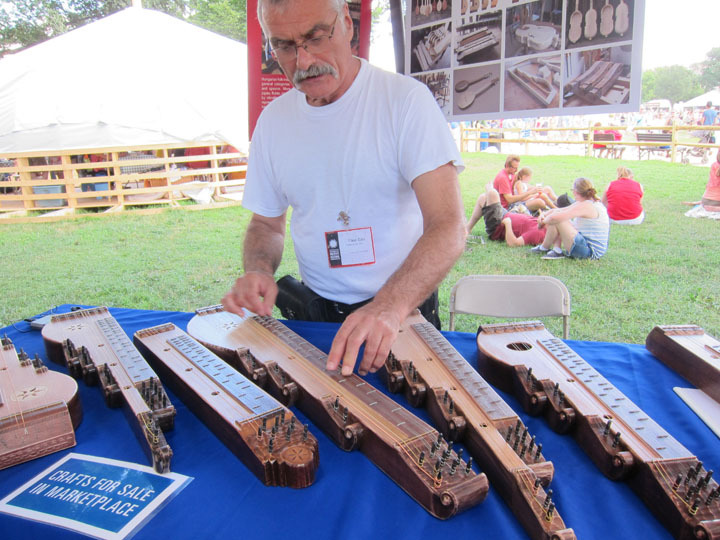 Master folk instrument maker Tibor Gáts shows off his zithers. 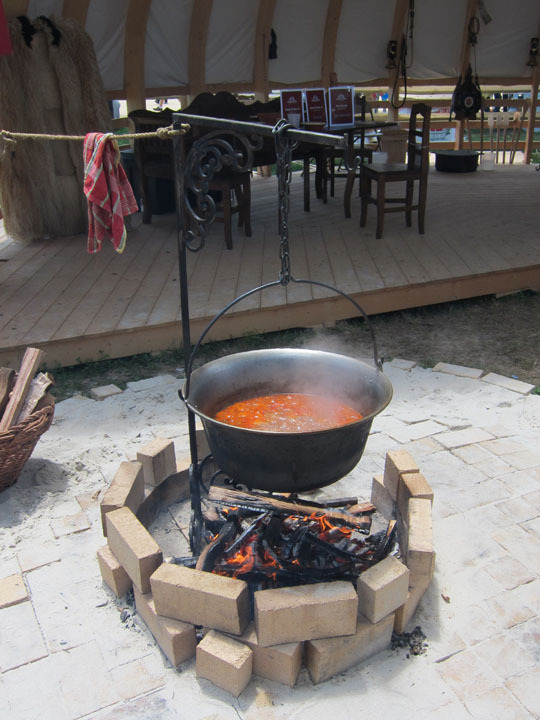 Nothing says culture like cooking and I definitely enjoyed the outdoor cauldron cooking demonstration! 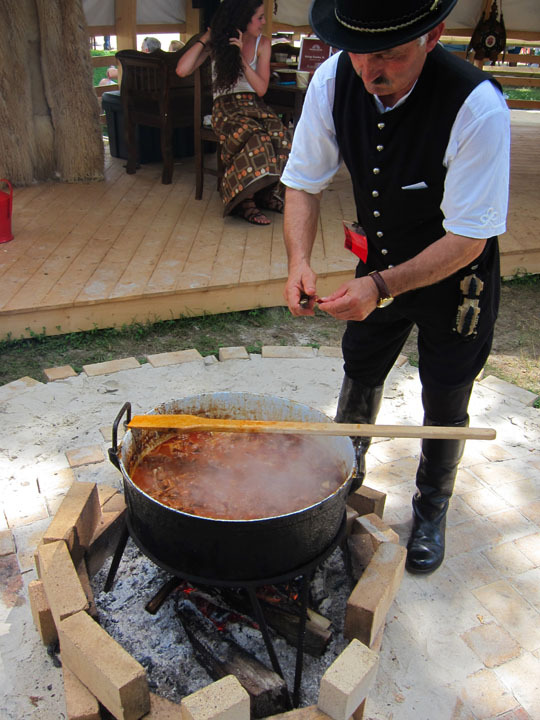 The Csontos Family (mother, father and 2 sons) come from a long line of shepherds in the Eastern region of Hungary and has been making Karcagi Mutton Stew for centuries. 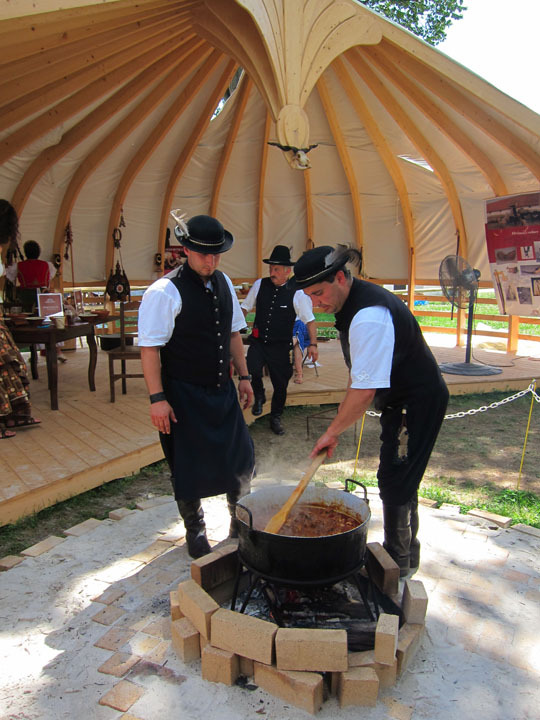 Besides keeping the tradition alive, their recipe has won year after year at an annual national stew cooking competition. I was happy to watch them in action. 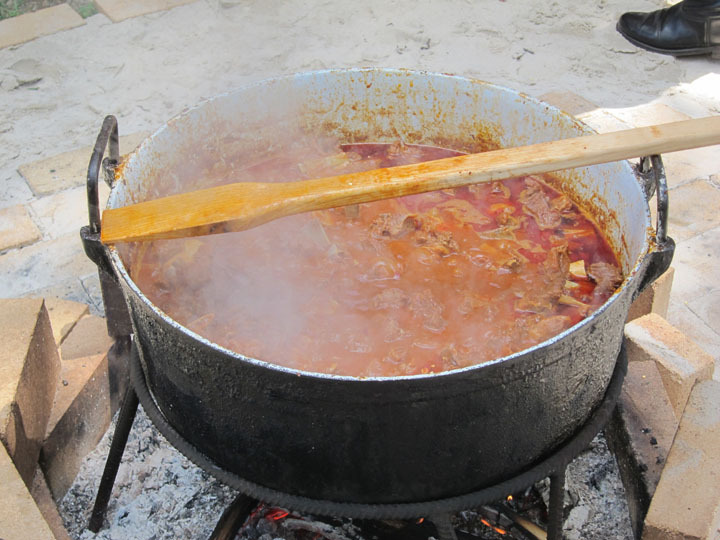 Karcagi Mutton Stew consists of 50lbs of sheep meat including organs, plus onions and green peppers. It is seasoned with paprika, hot peppers, and salt. 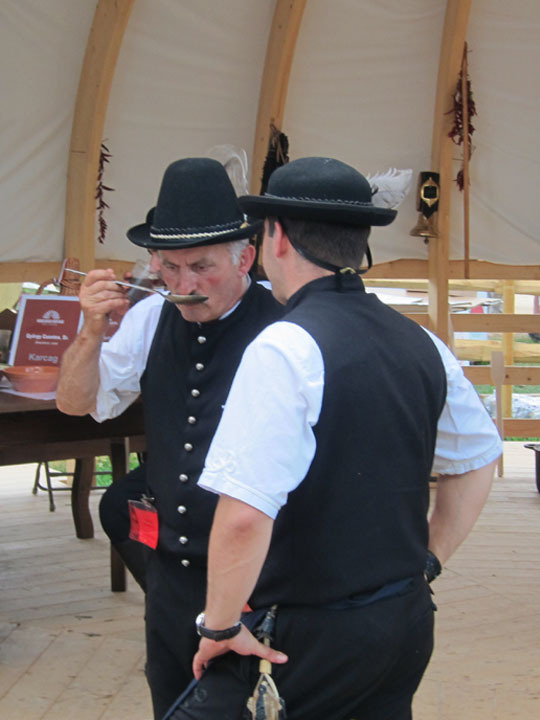 Clearly György Csontos Sr. here is the official taste-tester. 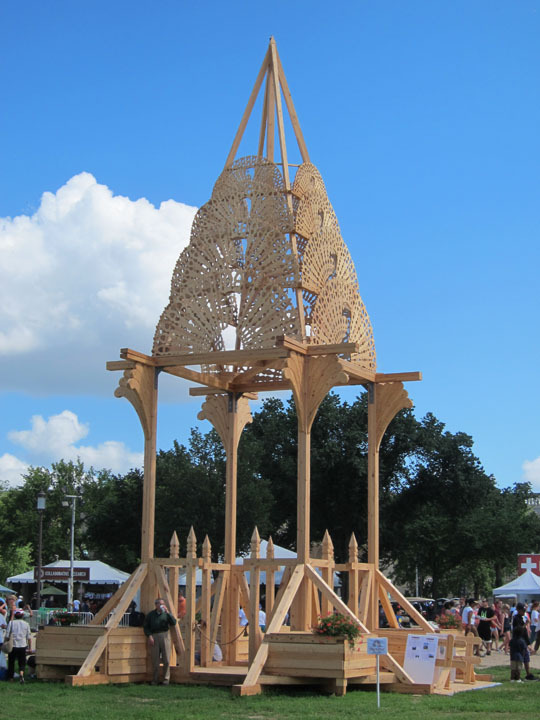 As always, I had a great time at the Smithsonian Folklife Festival and am looking forward to seeing next years themes! UPDATE: Come read about my “visit” to China and Kenya at the 2014 Smithsonian Folklife Festival.